Microsoft becomes first major browser maker to drop support for world's most popular OS. Microsoft's new browser, Internet Explorer 9 (IE9), will not run on Windows XP, now or when the software eventually ships, the company confirmed this week. The move makes Microsoft the first major browser developer to drop support for XP, the world's most popular operating system, in a future release. Although Microsoft excluded Windows XP from the list for the IE9 developer preview, it sidestepped the question about which versions of Windows the final browser would support. 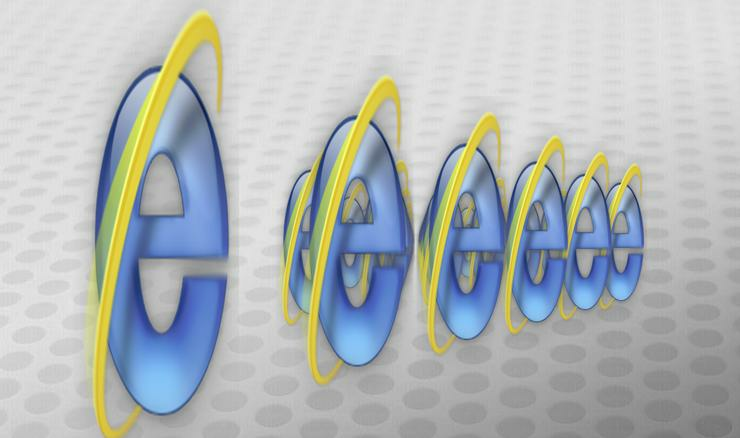 In an IE9 FAQ, for example, Microsoft responded, "It's too early to talk about features of the Internet Explorer 9 Beta" to the query, "Will Internet Explorer 9 run on Windows XP?" That caused some users to demand a straight answer. "Please tell whether the final version will run on Windows XP SP3 or not," said someone identified as "eXPerience" in a comment to a blog post by Dean Hachamovich, Microsoft's general manager for the IE team. "If not, please be clear about it. Really, enough is enough of keeping users in the lurch about Windows XP support." Others bashed Microsoft on the assumption that IE9 would never run on XP. "Dropping Windows XP support is one of the worst decisions ever taken by [the] IE team, probably even worse than disbanding the IE team back in the IE6 days," claimed an anonymous commenter. Microsoft had offered up broad hints that IE9 was not in Windows XP's future, however. Tuesday, a company spokeswoman said the new browser needs a "modern operating system," a phrase that hasn't been paired with Window XP for years. "Internet Explorer 9 requires the modern graphics and security underpinnings that have come since 2001," she added, clearly referring to XP, which appeared that year. Windows XP's inability to run the Platform Preview or the final browser stems from, IE9's graphics hardware acceleration, which relies on the Direct2D and DirectWrite DirectX APIs (applications programming interfaces). Support for those APIs is built into Windows 7, and was added to Vista and Windows Server 2008 last October, but cannot be extended to Windows XP. Some users worried that by halting browser development for Windows XP, Microsoft would repeat a current problem, getting customers to ditch IE6 for a newer version. "Those who choose to stay with XP will be forced to [then] stay forever on IE8, which will become the new IE6," said a user named Danny Gibbons in a comment on Hachamovich's blog. Tough, said Sheri McLeish, Forrester Research's browser analyst. "This is the stick to get off XP," she said. Windows XP users will solve the browser problem themselves when they upgrade, as most eventually will, to Windows 7. "What are they going to do, go to Linux or run XP forever?" she asked. Still, IE9's inability to run on Windows XP will prevent it from becoming widespread until the nearly-nine-year-old OS loses significant share to Windows 7. According to Web metrics company NetApplications' most recent data, if IE9 was released today, it would be able to run on just over a quarter -- 27% -- of all Windows machines. No other major browser maker has announced plans to stop supporting Windows XP, but several have dropped other operating systems or platforms. Last month, for instance, Mozilla said it would not support Apple's Mac OS X 10.4, known as "Tiger," in future upgrades to Firefox. Google's Chrome for the Mac, meanwhile, only runs on Intel-based Macs, not on the older PowerPC-based machines that were discontinued in 2006. The IE9 Platform Preview can be downloaded from Microsoft's site. It requires Windows 7, Vista SP2, Windows Server 2008 or Windows 2008 R2.